was released on November 15th, 2005. You can order yours now. All original content on this site is ©1999-2006 TK Baltimore and TKTV. Original content may not be used without permission. 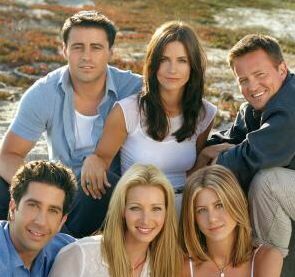 This web site, its operators, and any content contained on this site relating to "Friends" are not authorized by Bright, Kauffman, Crane Productions, Warner Bros. Television or NBC. We have nothing to do with the production or airing of this show.